There are many smaller branches around the UK rail network. Some are lines to and from a smaller outskirt to connect them to a larger city, others are just there to take freight away from lines less able to cope with it, and then there are just lines that serve as a shortcut while giving otherwise ignored places a station. Hedge End is one of these stations. Being only accessible from the Eastleigh to Fareham branch, it is a complete pain in the backside to get to. 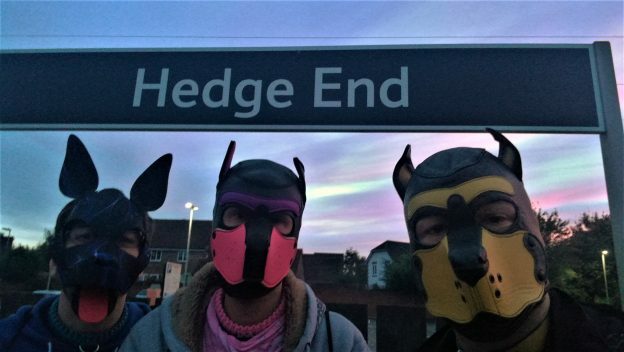 However, while on the way to a pub meal in Swanwick, Echo, Sparky, and I just happened to be passing through and so decided to pay the station a quick visit in the quickly depleting light and grab a photo. Thanks to industrial action, there were no people around as we entered the platform area, and so we were able to find the sign with the best lighting available and grab our shot. Once taken, we dashed out of the station and back to the car. We had another station on the hit list that night, and a dinner to get to.